Shortly after her arrival, Miranda is assaulted by one of the inhabitants of the islands. A few days later, her assailant is found dead, perhaps the result of an accident. As the novel unfolds, Miranda gives witness to the natural wonders of this special place as she grapples with what has happened to her and deepens her connection (and her suspicions) to her companions, while falling under the thrall of the legends of the place nicknamed "the Islands of the Dead." And when more violence occurs, each member of this strange community falls under suspicion. The Lightkeepers upends the traditional structure of a mystery novel --an isolated environment, a limited group of characters who might not be trustworthy, a death that may or may not have been accidental, a balance of discovery and action --while also exploring wider themes of the natural world, the power of loss, and the nature of recovery. It is a luminous debut novel from a talented and provocative new writer. 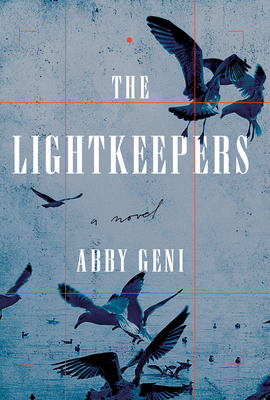 Abby Geni is a graduate of Oberlin University and the Iowa Writers Workshop as well as the recipient of an Iowa Fellowship. Her work won first place in the Glimmer Train Fiction Open and was listed in The Best American Stories 2010. She lives in Chicago.